3706 Broadway #27, Fort Myers, FL.| MLS# 218041334 | Southwest Florida Residential Real Estate for Sale. Price reduced. Welcome home to Windsor West! Great price for this Second Floor, 2 bedroom/ 1 bath condo with balcony and a POOL view. Brand New Water Heater! Kitchen is equipped with Refrigerator, Electric Stove, and Dishwasher, which will all stay in the condo. This unit is easy to keep clean with wood and ceramic flooring throughout. Plenty of space to spread out and feel the breeze through the sliding glass door in the living room which leads to the balcony. Pool views from both Bedrooms. Master Bedroom has large walk in closet. Low HOA fees of $294 per month in this community. The HOA fee covers Water, Sewer, Landscaping and trash removal. Laundry located on the first floor of building. 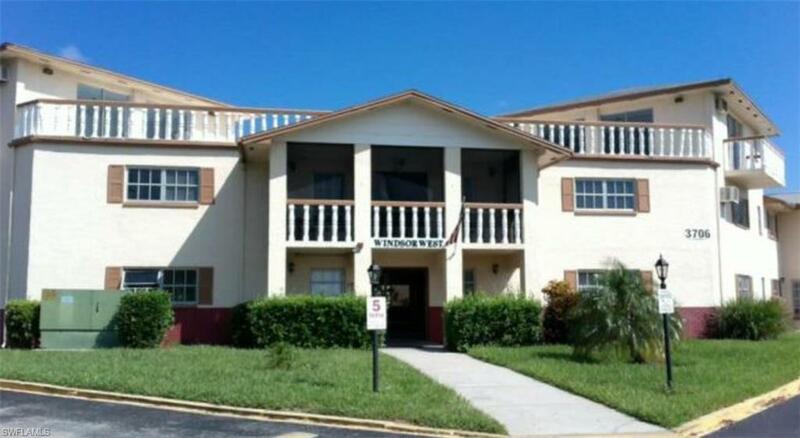 Condo is secured with a fence surrounding the complex. Close to US 41 and I 75, resteraunts, shopping, hospitals, airports, and more. Donât miss this investment opportunity at an affordable price. Complex has good Seasonal and Annual rental potential. Purchase this unit before its gone! Call today for more information. Central location with public transportation in the area.